4 Mar : After failing to hit its target in the previous test, a new version of the 290 km-range supersonic BrahMos cruise missile was successfully test launched on Wednesday at a firing range in Pokhran in Rajasthan desert. "The Block II BrahMos missile was successfully launched at 1030 hours this morning," officials of Defence Research and Development Organisation (DRDO), who have developed the weapon system in collaboration with Russia scientists, told a news agency. The missile "took two-and-a half-minutes to strike its target in the Pokhran firing range in Rajasthan," they said. The test launch was witnessed by Deputy Army Chief (Planning and Systems) Lt Gen M S Dadwal among others. The latest land attack version of the missile has been developed for the Army and the weapon was fired in a vertical-launch configuration, the officials said. The earlier test of the Indo-Russian joint venture missile was carried out on 20th January when after a successful take off, it deviated from its course mid-way and failed to hit the target. The officials said that a "defect" in the software of the homing device of the missile had been rectified leading to its successful test on Wednesday. The officials said the "unique" technology in the Block II BrahMos version made the missile an "unparalleled" one giving the armed forces the ability to hit targets in building clusters. "The new seeker system is unique and it will help us to hit the targets, which may be insignificant in terms of size, in a cluster of large buildings. We are the only nation having this advanced technology," they claimed. Some more launches of the Block II BrahMos system will be carried out since the Army has made it clear that it will induct the supersonic missile’s new version only after it proves its capabilities in a series of tests to be conducted in the near future. The officials said that the Army will start receiving deliveries of the 240 missiles ordered by it in two years from now as per the original schedule. The Army has already armed one regiment with the Block I version of the missile. 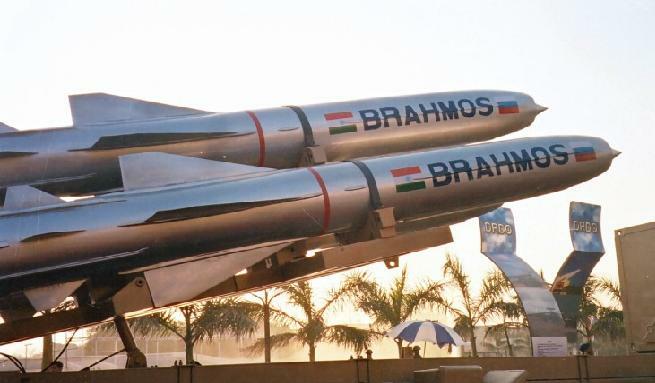 BrahMos, which is an Indo-Russian joint venture company, has its headquarters in Delhi.